What is Losartan (Losartan) used for? Losartan (Losartan) is an angiotensin II receptor prescribed to treat patients suffering from high blood pressure (hypertension). The medication operates by relaxing blood vessels in the body to allow easier blood circulation. This action also makes it useful for lowering the risk of strokes, heart failure, or long-term kidney damage caused by diabetes. Your doctor may also prescribe this medication to treat other conditions that are not listed here. How should I use Losartan (Losartan)? Follow the instructions of your doctor while using Losartan (Losartan) to get the safest and most effective results from treatment. It is typically administered orally once each day, but your particular regimen will depend on your health condition and the severity of your symptoms. Do not change the form of the tablets by chewing, crushing, or splitting them as this may destroy or alter the effects of the contents. If you have any questions about using the medicine, ask your doctor or pharmacist to ensure the correct application. What are the side effects of Losartan (Losartan)? Tell your doctor if any of these symptoms become worrying or if you experience other serious side effects such as severe chest pain, faintness, painful urination, unusual swelling, or elevated potassium levels. These conditions may require reduced dosages or other adjustments to prevent these potential health problems from occurring. Do not begin using Losartan (Losartan) if you are pregnant, breastfeeding, fructose intolerant, lactose intolerant, if the patient being treated is a child, or if you have severely reduced liver function. You are also suggested to inform your doctor if you have severe heart failure, mitral valve stenosis, renal artery stenosis, aortic stenosis, angioedema, decreased fluid volume, or if you have had a bad reaction to similar treatments in the past. These conditions may require special adjustments to your regimen to prevent unexpected health problems from occurring. 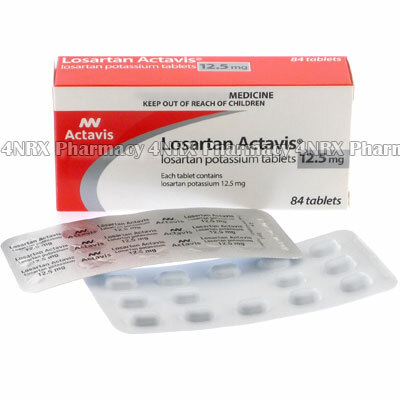 Strictly use Losartan (Losartan) as prescribed and follow all instructions provided by your doctor. Safe, suitable, and optimum dosage can vary and is dependent on the patient`s health and medical history, as well as the condition you are treating. Losartan (Losartan) may not be safe or suitable for all patients. Always ensure your doctor is informed if you are pregnant or breastfeeding, using any other type of medication (including non-prescription medicine, vitamins, and supplements), as well as if you have any allergies, other illnesses, or pre-existing medication conditions.